PBwiki offers you a very easy way to create your own wiki, and let you collaborate with others. 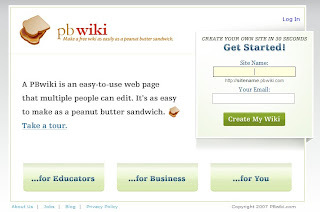 With PBwiki, you can do many things, create a fan club with friends, plan a trip with family, make a shared grocery list. You can let other people contribute it, so you will have a own online community. Register is free.